Crane-feed HEIZOHACK wood chipping machines are powerful professional machines for contractors or associations. With the HEIZOHACK wood chip machines, all wood waste such as slats, beams, logs, blocks and branches and whole tree trunks with a diameter of up to 80 cm can be processed with a low power requirement. A powerful Infeed system via a steel conveyor belt and a pressure roller with welded spikes ensures a reliable feed of the material. All functions of the crane-feed wood chipper can be hydraulicaly activated. The SPE – 1300 chops with pins and spax pallets, construction timber, boards and many more to high quality wood chips which can be combusted in our RHK-AK boiler without any problems. 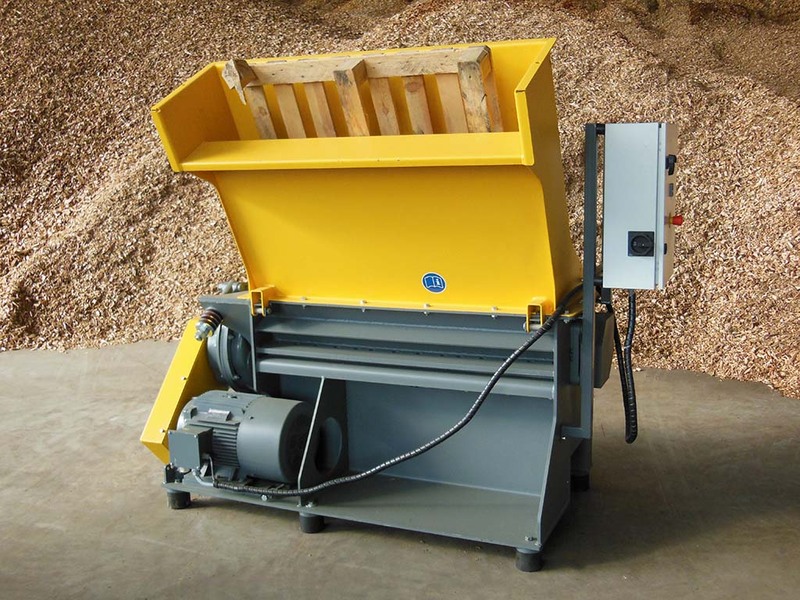 The machine reaches with only 18,5 kW an output of up to 5m³ wood chips per hour.